I read the most fascinating book today. I accidentally bought a book I already owned at the Harvard Bookstore in Cambridge so I hastily returned it and grabbed the first awesomely-illustrated book I saw, Bluebird, written and illustrated by Bob Staake, and left the store without reading it. And I’m so happy I did. How do you interpret an ambiguous ending? or the little fish in This Is Not My Hat? So is there a reason that these deaths--murders--are presented as ambiguous, like there is consistently a missing spread in between these moments in time? It’s certainly a wonderful tool for creating an open dialogue between the book and the reader, if nothing else. The reader has no choice but to engage in the story from the very beginning in order to get the most meaning out of the ending. I feel like these stories present the world in a way that is unique to children. Mainly that your actions and view of the world have important implications and consequences. 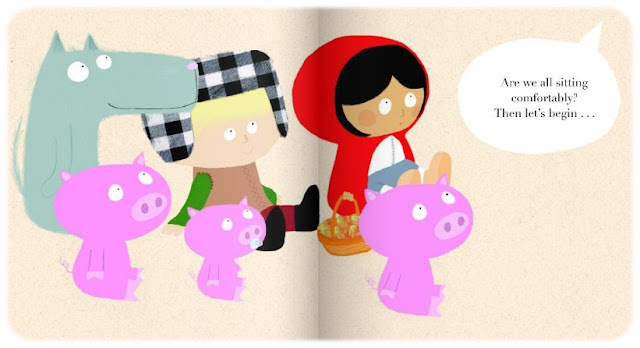 In "I Want My Hat Back" and "This is not my hat" I think the end is left ambiguous to get the child to think about what happened. The rabbit stole the hate from a bear, not a wide move if the bear finds you. Same with the smaller fish stealing a hat from the big fish. Neither of the death scenes are shown and only hinted at so the child has to come to the conclusion about what happened on their own, and why the animals reacted this way. I haven't read Little Wolf but it seems to be a similar vein of letting the reader, specifically the children identify the danger on their own without the author coming right out and showing or telling them it exists. I don't know if I am reading to deep but I feel like these stories present situations to children in a way they don't normally see them. 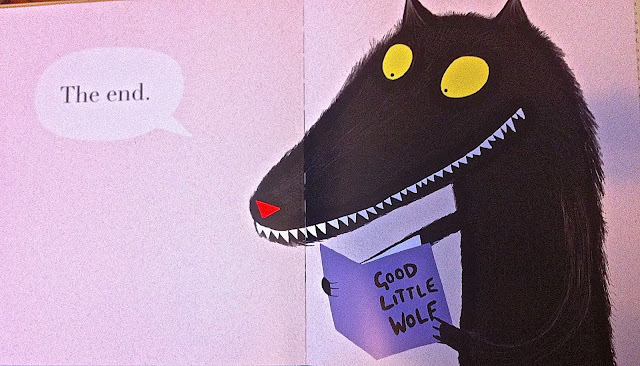 In the "hat" books there is no clear bad guy, just some animals that are neither demonstrably good or bad. These books allow the children to identify and decide for themselves who is right, wrong, hostile, and how they generally see the world. The fact that the stories are not in black and white makes it very interesting to see how children, or even adults, react and interpret to the subject matter. I think most of what you've said is dead-on (no pun intended). I wonder, though, how your ideas can be further applied to Bluebird. There's a fascinating interview with author/illustrator Bob Staake here http://www.cnn.com/2013/05/21/living/bob-staake-bluebird/ if anyone is interested that really addresses the same questions that I posed here. I really like your notion that actions have consequences (ie the rabbit stole from the bear which "isn't a wise move if the bear finds you"), and you mention that there is no "black and white" bad guy. But what about the kids in Bluebird who bully the boy and ultimately end up killing the bluebird? What are the consequences of their actions? Again, I think it all goes back to creating an open dialogue between the reader and the book.